DSE and Ex-Officio SPD has given Guidelines for opening of 84 new KGBVs and 29 Urban Residential Schools during 2017-18. In this connection, 84 new KGBVs to be Established in Educationally Backward Mandals and 29 new Urban Residential Schools to be Established for Urban Deprived Children.These KGBVs(TS KGBV English Medium Schools) are to be established in Telangana State for the academic year 2017-18 to provide education to the targeted children in English Medium to achieve the goals of SSA and Education Department and the Urban Residential Schools. Sub:-SSA, Mahabubabad – Kasturba Gandhi Balika Vidyalayas – Opening of 84 New Kasturba Gandhi Balika Vidyalayas (KGBVs) during the academic year 2017-18 - Selection of Non-Teaching staff in KGBVs – Guidelines – Communicated – Reg. Ref:-1.Proc.Rc.No.2458/TSSA/KGBV/T9/2017, Dt:06.05.2017 Proceedings of the Commissioner & Director of School Education & Ex-Officio State Project Director, SSA, Telangana, Hyderabad. 2.Note orders of the District Collector and Chairperson, SSA, Mahabubabad, Dt: 13.06.2017. 3.Circular No.250/TSSA/KGBV/T9/2017, Dt: 29.05.2017 of the Commissioner and Director of School Education & Ex.Officio State Project Director, SSA, Telangana, Hyderabad. 4.Circular No. 2458/TSSA/KGBV/T9/2017, Dt: 06.06.2017 of the Commissioner and Director of School Education & Ex.Officio State Project Director, SSA, Telangana, Hyderabad. I am to state that the Commissioner & Director of School Education & Ex-Officio State Project Director, SSA, Telangana, Hyderabad has informed that the Government have permitted to establish Kasturba Gandhi Balika Vidyalayas (KGBVs) for the academic year 2017-18 in this district in the following mandals. Chinnagudur, Gangaram and Peddavangara. 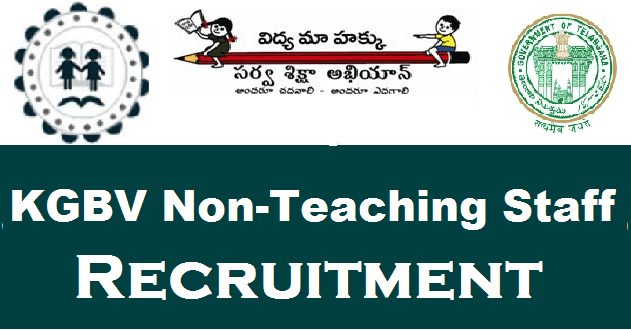 It is submitted that in the reference 4th cited, the Commissioner and Director of School Education & Ex.Officio State Project Director, SSA, Telangana, Hyderabad has issued the guidelines for the selection of Non-Teaching staff in the new KGBVs such as Head Cook, Attender, Watch woman, Asst.Cook and Scavenger has to be taken up by the committee consisting of following officers of respective mandals by taking Mandal as a unit duly following the qualification criteria and age of candidates shall be in between 18 to 45 years as on 01.06.2017. Further, it is submitted that further the Commissioner and Director of School Education & Ex.Officio State Project Director, SSA, Telangana, Hyderabad has informed that the selection of cook previous experience of cooking is mandatory and a demo has to be conducted before the committee to select the best candidate as cook and the committee has to select the eligible candidates not giving any scope of complaint from any corner and further more instructed to take necessary action and see that the process of selection of non-teaching staff in the new KGBVs is completed by 17.06.2017. The qualifications prescribed for different non-teaching staff in KGBVs is submitted as follows. Furthermore I am to state that the District Collector and Chairperson, SSA, Mahabubabad has issued note orders in this regard as follows (copy enclosed). “Preference to be given to widows heading family for economic support”. As such the committee members at Mandal level are requested to take necessary action immediately and furnish the Mandal Educational Officer who is the convener of the committee is requested to submit the information to this office for submitting to the Director of School Education, TS, Hyderabad.